Put all ingredients in a large bowl and cook it until simmer, than cook it 30 min on medium fire and 1-2 hours on very law fire until all liquid evaporate in syrup. Skuta cheese (similar to Itallian riccota and English Quark) it is fresh, young, mild cheese.I just mix it until is creamy,( without sugar), we have it enough in dried figs. 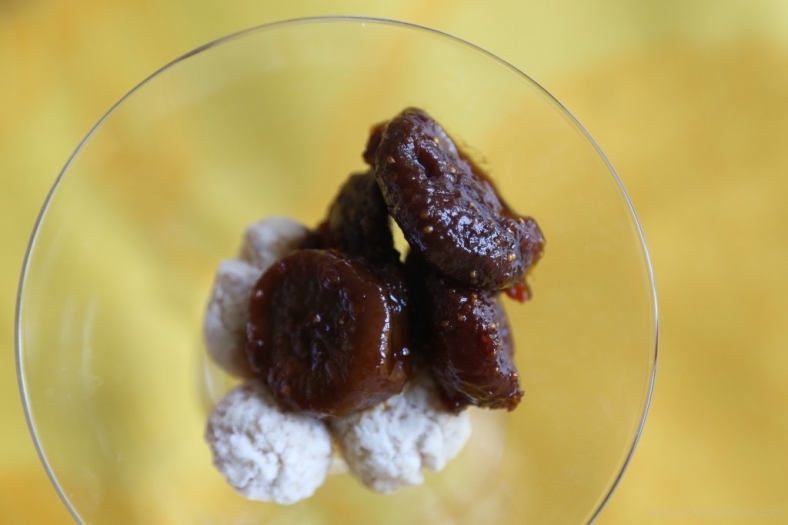 I often serve Dried figs cooked in Prosek with Bobici ( traditional Dalmatian biscuits ) and skuta cheese cream or vanilla ice cream. 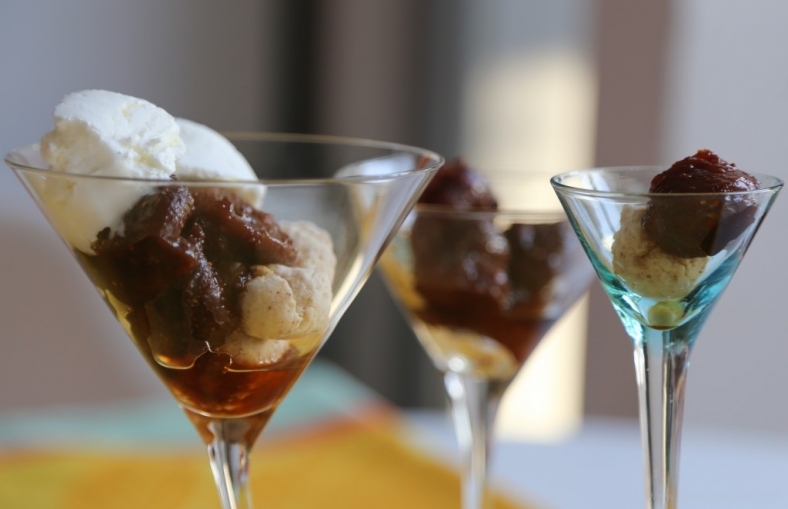 It is compatible contrast of Bobici crispy texture, not much sweet taste and creamy, divine sweet dried figs .Finally, on the top of this haven : cold skuta cream! Irresistibly combination for a mild summer night. Koraljka - Very interesting combination !